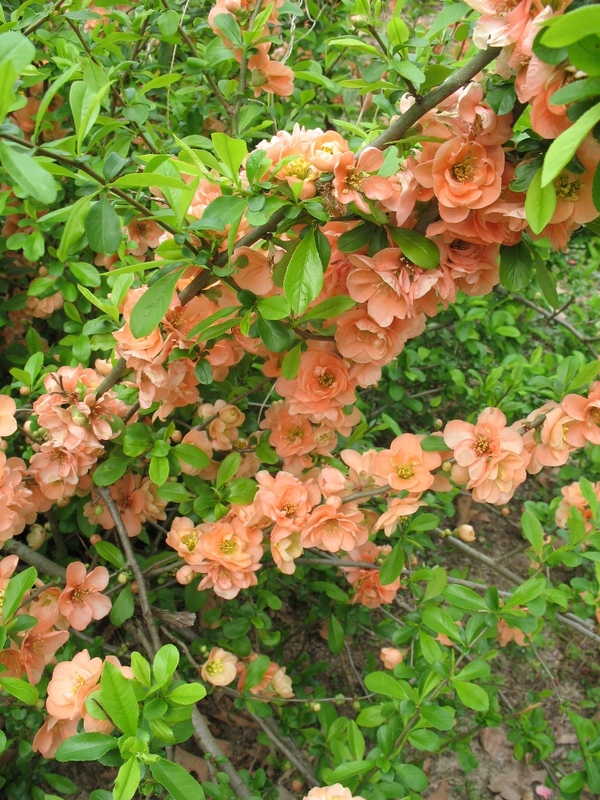 Comments: This flowering quince, sometimes called peach quince, produces beautiful double peachy colored flowers in great abundance. It does not grow quite as large as the regular flowering quince and it does not have thorns. Flowering quinces bloom in very early spring. Periodically remove old, woody non-producive canes in shrubs to keep them rejuvenated. Prune immediately after flowering.